Vanessa Joy has built a very successful online teaching business. She teaches one-to-one and, recently, she opened a new subscription program. In this interview, she shares how she managed to have all this success in such a short amount of time. You’re going to love this. Teaching English online there for those who commit to it. Yes, you’re going to make mistakes at first. Who doesn’t? The key is to take action and learn as you go. Vanessa also talked about the importance of taking courses (she is a TEOC member, after all!) and learning what you need to do to get this right. Vanessa’s goal is to give her learners a safe environment. A bad comment on one of her videos isn’t the end of the world and she’s surprised by the lack of nasty, YouTube style, comments. She’s also a serial banner! Vanessa uses email marketing to fill her schedule and sell her courses. Click here to learn more about how to do this. Vanessa has gone all in and created a monthly course for learners. Doing something like this is a big commitment. Vanessa was prepared for this and is creating the type of materials that she was creating for free anyway. As you can tell, she’s on top of it all. Teach English Online Course – this is what Vanessa took when starting out. Has this interview inspired you? What have you learned? 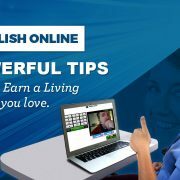 Teaching English online independently is a way for you to earn more, teach the way you want to teach, and work from anywhere in the world. You can choose your schedule, target learners who you love working with, and scale your business over the long-term. The problem is this: without online marketing know-how, it will be difficult for you to fill your schedule. You’re also going to need a plan of action to ensure that you make progress with this over the long-term. This post will give you 16 powerful tips to help you get this right. And if you are serious about doing this, take my free video training (sign up at the bottom of the page). 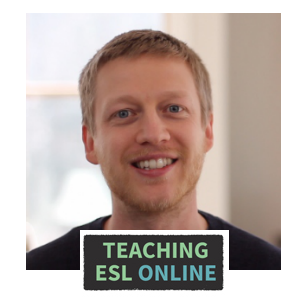 To teach English online successfully, you will need to do think about your teaching niche. Some teachers are super-specific here. For example, you can teach IELTS speaking preparation to learners from Brazil through your own method. Others offer general lessons to anyone who wants them. Either way, you’ll need to gain clarity on what your niche is. The clearer you are with this, the better you’ll be able to resonate with learners. You’ll be able to tell specific learners, with confidence, that you are the teacher for them. You might not get full clarity straight off the bat. In fact, this will be an ever-evolving process. But consciously going through this – thinking about your current skills, what you enjoy, and who you would like to work with – will lead you in the right direction. Don’t let this stage stop you from getting started. Get teaching as soon as you can (more on this later). Take a look at this for an example of a teacher who got this right. To sign online students up for your lessons, you’re going to need a website. Most teachers set their website up incorrectly. They set them up for browsing, not for conversions. They have all this information for people to read, but there is no clear action to take. Learners land on their site, take a look around, and then leave, never to return again. When creating your site, set it up for conversions. Know what action you want your learners to take and convince them to take it. signing up for a trial lesson. I make lessons on my YouTube channel for intermediate English speakers. At the end of each lesson, I include a call to action (CTA). My CTA is a book that I give away for free. The learner enters their name and email address and I send them my book. From there, I send further emails that give them useful lessons. I also build desire for what I offer (in the past, one-to-one lessons – these days, it’s my audiobook and online course). I then present my offer and convince learners to sign up. Because if you send learners you don’t know you yet straight to your offer, you conversion rate will be very low. Learners take lessons with teachers that they know, like, and trust. And giving away free content and following up through email is the best way to reach that stage with your learner. Email marketing is the best way to sell your lessons and build an audience over the long-term. 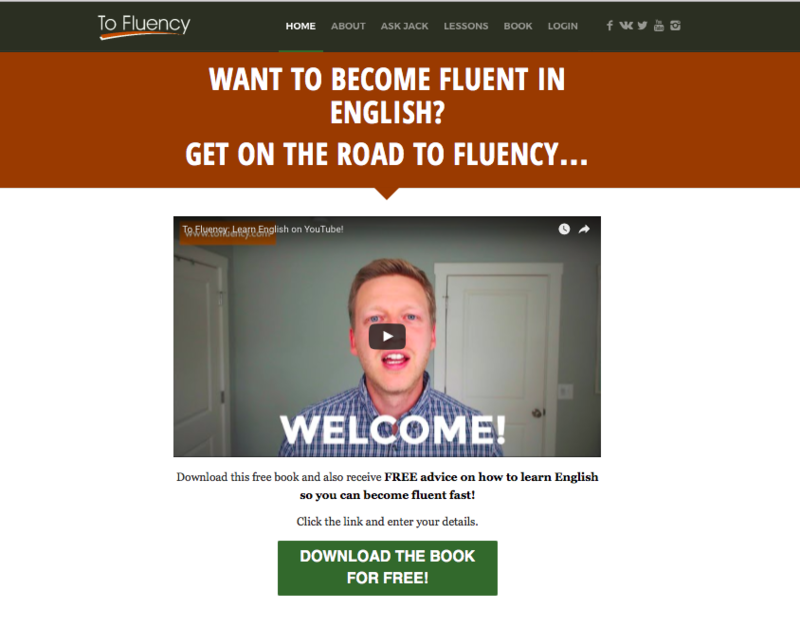 I won’t go into the finer details of why this is all important here, but know this: 95% of sales come from English learners who are on my email list. Here is how to get started with email. Social media has changed everything. You already know that. But for independent teachers, it means that we reach English learners through content that we create. For free. Social media can be overwhelming. What’s more, online platforms are noisy places. That’s why, when we’re clear on our niche, we can cut through the noise and resonate with the type of learners we want to teach. Additionally, use sites that you enjoy using. There is no need to join them all. In fact, if you do, then you’ll spread yourself too thin. 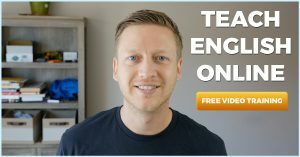 When building an online English teaching business, you might get overwhelmed with all the different ways you can market your lessons. For example, you’ll hear people say that you need to blog, start a podcast, join every social media channel, make videos for YouTube etc. Go with what you enjoy doing and focus on that right now. For example, I have a Twitter account, but I never use it. If I spent time using it, it would work for me. But I prefer to spend my time making videos and writing blog posts. Going back to your website, make a connection with your learners. The best way to do this is through video. Your potential students want to know who you and see you in action. It doesn’t have to be long. It doesn’t have to be perfect. Just get something up there. 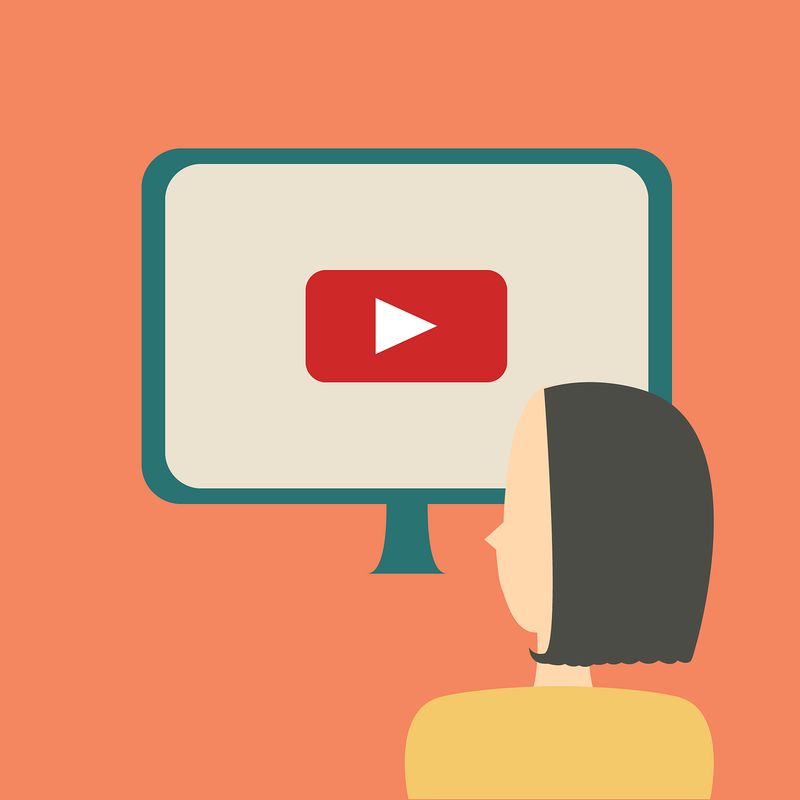 A simple one-minute welcome video on your homepage can make a huge difference. If you’re apprehensive about putting yourself out there, read this. And if you want to learn how to create videos read this. Maybe you have years of teaching experience. Maybe you have never taught before. Either way, get teaching online as soon as possible. Make this a priority. The earlier you get started, the better. A lot of learners are looking for conversational lessons and error feedback. This is something you can offer right now. And if you decide to take formal training, you’ll have context for the theory. 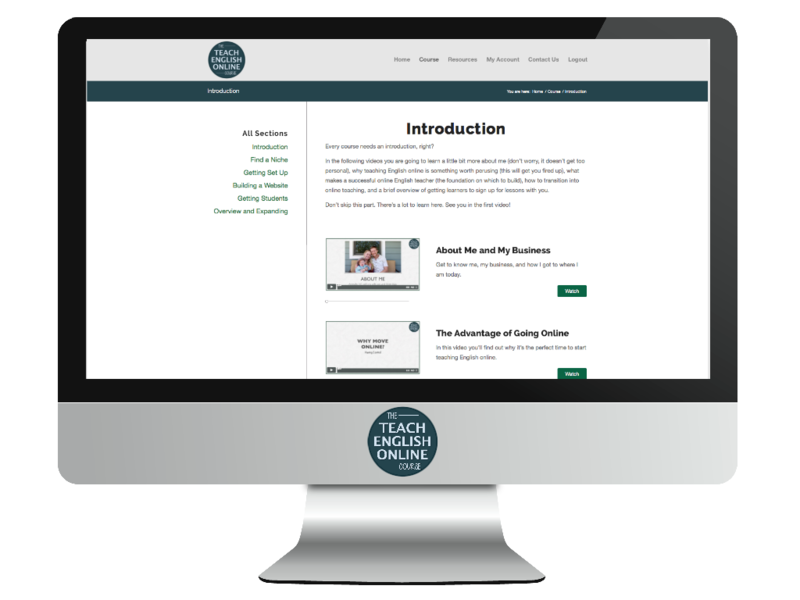 If you’re an established English teacher, get used to teaching one-to-one online using the tools available. Ask a current student if they want to jump online with you and take things from there. This goes for teaching and marketing. With teaching, take relevant courses, read blogs, read books, watch videos, get feedback from your learners and other students, and review your own lessons. With the business side of things, learn how to market your online lessons, take action, and then refine. A benefit of digital marketing is that you get constant feedback on what works and what doesn’t. For example, if you advertise on Facebook or Google, it tells you how many people clicked on your ad and, if you set it up correctly, how many people converted. If you don’t get the results you want at the first time of asking, make changes. For example, ask yourself how you can improve your ad headline, image, text etc., how you can the page people go to when they click the ad, and how you can improve the sales process. 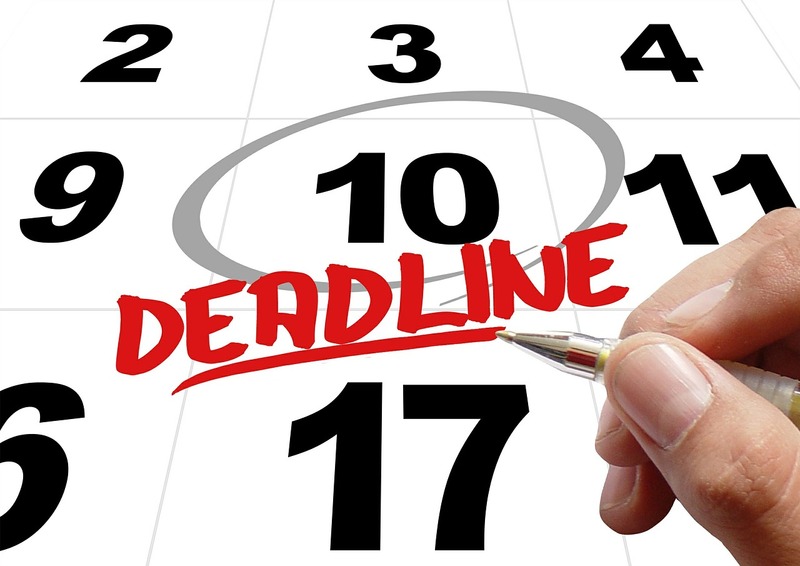 If you’re serious about moving online, set a deadline. Without a deadline, you will keep putting things off. You won’t make it a priority in your life. Don’t do this someday – have a specific date in mind. Earlier, you learned that learners click the link at the end of my YouTube video to download my book. From there, they go through a specific sales process. This all happens on autopilot. Thousands of learners watch my videos every day. Hundreds download my book each week. But it took me a while to get to this stage. Making videos on YouTube is a great example of what I call a long-term marketing method. You won’t get results in the first few weeks or maybe months, but once things start gaining momentum, you will attract learners passively over time. At the beginning, however, you will need to hustle to get learners. This is just the tip of the iceberg. But know that you will have to work at this to make it effective. 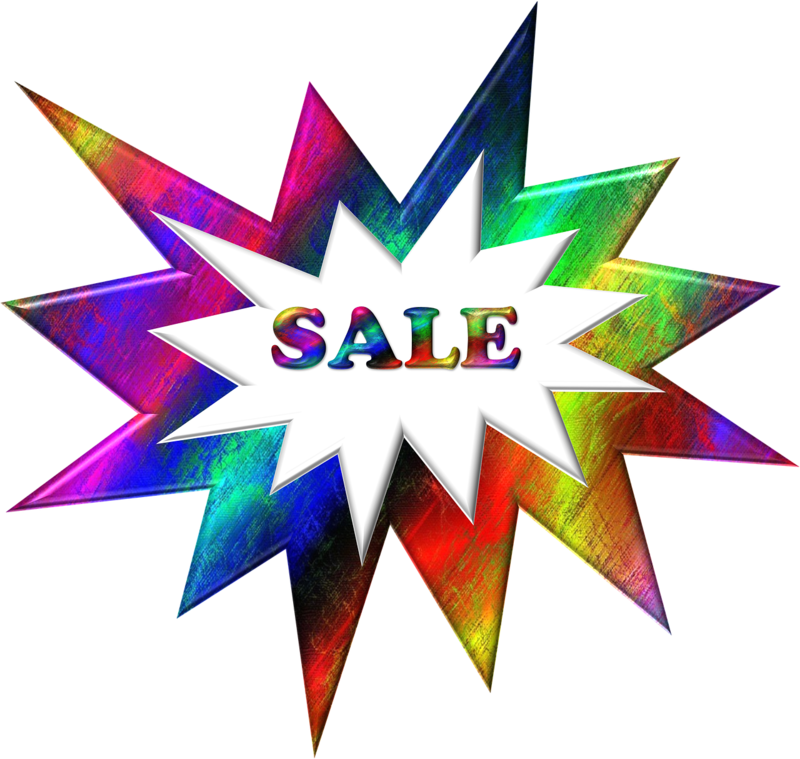 In 2014, I doubled the price of lessons for new students. I had a high demand for lessons at the time and the price increase didn’t affect my schedule. In fact, charging higher prices is a way to attract learners who buy based on value rather than cost. If you are flexible with your pricing, don’t include numbers on your website. As for what type of salary you can expect from teaching English online, this varies greatly. But know that you can scale this to wherever you want to take it (more on this soon). A big concern for new online teachers is not getting paid for their lessons – that a learner will take a lesson and then disappear without paying. Always ask for payment up front and explain to your learner that their lesson is only reserved once you receive payment. You’ll get learners that request a trial and don’t show. And learners who come to your trial lesson without any intention of paying for future lessons. Certain learners will try and get as much free help as possible. How you respond to this depends on you. I talk more about free vs paid lessons here. The key is to not let it affect you. In 2013, I made it a priority to connect with as many teachers as I could. When I was starting out, I saw other online teachers as competition. But one day, I got on Skype with a fellow teacher and we talked about what was working for us and what we were struggling with. From then, I made it a priority to connect with as many teachers as I could. There are countless groups on Facebook to join. Just make relevant searches, join them, and get involved. What resources you use depends on your niche. If you’re teaching IELTS preparation for example, then you’ll need materials specific to this. For general conversational lessons, there is so much out there. For example, Film English has lesson plans based on short films. Breaking News English has in-depth resources based on latest news. Do a search for ESL Ted Talks and you’ll find countless plans. And if you want ready-made lessons that are interactive, check out Off2Class. Over time, you’ll build up your own library of resources. Use Evernote to help you organize them. Over the long-term, most teachers look for ways to earn more of a passive income. This has been my experience too. It’s worth thinking about what you want to create over the long-term so that you can the necessary steps now to achieve those goals. Earlier, we talked about the different ways to make this transition. No matter when you want to make this your full-time thing, start today. Look at your goals (and your deadline for achieving this!) and then be smart about what you should focus on right now. For example, if you want to build for the future, start growing a following by email and social media. Put stuff out there, learn, and make changes. 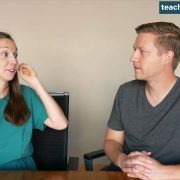 Online teaching has changed my life. I am in control of how I teach, when I teach, where I teach, and my future earnings. Sign up below to learn how you can do this too. Recently, I’ve been going live on Facebook 2-3 times per week to share information on how to better market your lessons and courses. As a side note, if you’re struggling to make videos, consider going live. There’s something different about pressing “go live now” instead of recording a video and then uploading it. For me, it brings out a different style of presenting. It also helps me get something out there. I highly recommend you try it. Anyway, back to the video…. 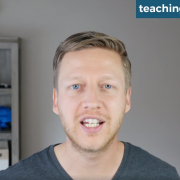 … in this lesson, I go through various tips and strategies that will help you better promote yourself as an online teacher. 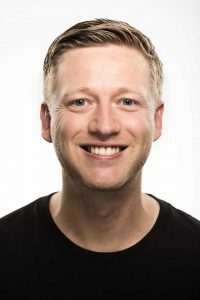 I talk about affiliate programs, checkout software, focusing in on your niche, creating micro-content, and other useful tidbits. A TEOC member asked if it’s necessary to create new blog posts frequently in order to attract learners. Add a call-to-action (CTA) at the beginning and end. The old way of writing an article and posting links on social media isn’t exactly dead, but it’s not as effective as it used to be. Facebook and other social sites want you to create native content. They want you to upload videos to their platform. Users want this too. Think about how much more likely you are to watch a video on Facebook rather than click a YouTube link. Use this to your advantage by creating micro-content on these platforms. And remember to include a relevant CTA. Over the long-term, you’ll most likely want to include blog posts too. This way, you will be found by Google. But as I say here, this takes time. I’ve had a couple of problems recently with people trying to register for my course. This was an old problem that I thought had gone away. Certain people were getting a timeout message when they submitted their order. They couldn’t register and I was missing out on new members. I tried to talk with my hosting account, software people, and hosting service, but they couldn’t pinpoint the problem. On a related note, I also wanted to add an affiliate program for my courses. I tried one piece of software, but it was a nightmare to set up. The support was decent, but it was overly complex and confusing. My wife knew I was struggling with these problems (I was sighing a lot, apparently) and asked what was wrong. I told her about it and said that there is this software that, although expensive, looks like it could solve everything. She told me to go for it. It took a couple of hours to set everything up. I’m very pleased with the initial experience and now I have an affiliate program. Investing in the right products, services, and people helps you grow faster and makes life easier. Don’t put this off. As for my affiliate program, get in contact if you would like to join. A couple of days ago, I got an email that made my day. “The course has focussed me on finding a niche, and as a result I have hit some important financial and personal milestones. I come from an RAF family – my father was one of the first six link instructors in the UK – and as a journalist I specialised in writing about flight simulation. Also, I am an Accelerated Learning trainer, a Master NLP Coach, an Advanced Reading Instructor and CELTA qualified. When I started putting all these skills together to teach a senior airline pilot, we struck gold. Ingrid focused on what she was specialized in and brought all this together. This focus on what she does best resulted in one of her clients fulfilling his dream. When this happens, you’re going to get referrals. If you’re struggling to resonate with learners, think about what your strengths are and what interests you, and then find ways to create lessons and teach those who you are going to best connect with. Last week, I put together a new video training series. I highly recommend you go through it. It might be exactly what you need to get your teaching business off the ground. Click here to get instant access to the videos. Please share any thoughts you have in the comment section below. Oh, and if you have a lesson plan that you want to share with the world, get in touch here.